Agrohydrologerne is experts in irrigation, drainage and flowing water. Agrohydrologerne sets up and operates online measuring systems of both weather, water level, water flow and water quality parameters for municipalities and agriculture. 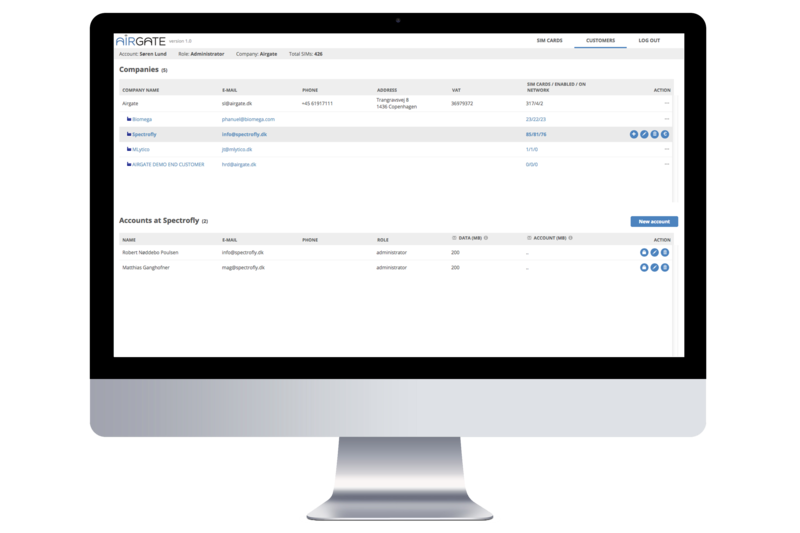 AIRGATE supports the solution with the SIM connectivity part including a SIM connectivity management platform on top. Agrohydrologerne wanted a simple SIM solution providing them with the ability to connect their devices and overview the SIM card portfolio and SIM data usage. Especially in the start-up phase it was important for Agrohydrologerne to have a low involvement SIM solution, which made it easy to focus on their core business. AIRGATE delivered a scalable SIM connectivity management solution which made it easy for Agrohydrologerne to deploy and overview their SIM card based IoT devices future proof for global expansion with the same simple pricing worldwide. In addition Agrohydrologerne got access to monitor real time data usage and SIM card state for basic trouble-shooting. 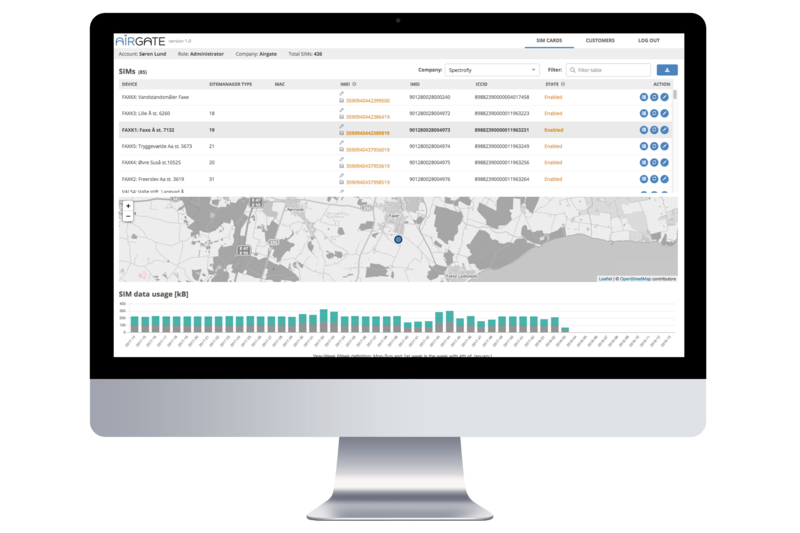 With their SIM solution from AIRGATE, Agrohydrologerne now has a great and simple overview of their total deployed IoT solution and is able to easy deploy new SIM cards/assets locally and globally. This also means less time spend on continuisly testing local SIM cards with their devices and negotiate contracts and prices with different mobile operators.